For your post-Valentine's Day date! 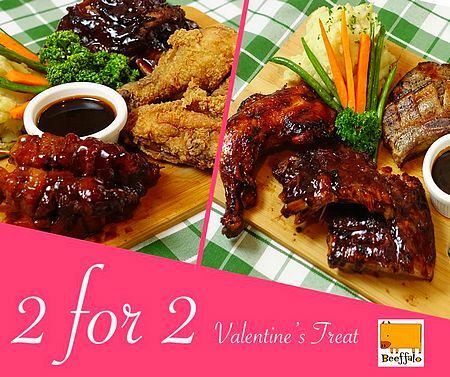 (SPOT.ph) We may be past February 14, but it's never too late to have your V-Day celebration—and there's definitely room for a post-Valentine's Day date, too! 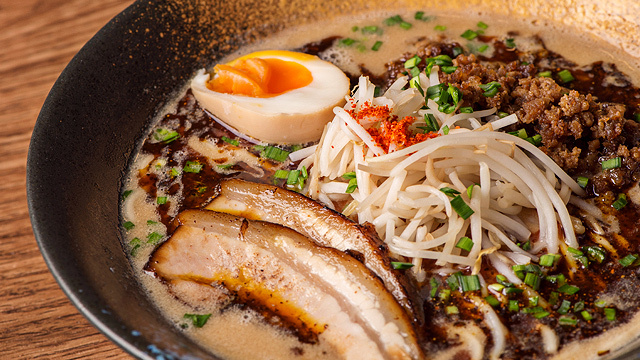 The love-fest continues all month long with these meal deals that are perfect for two. 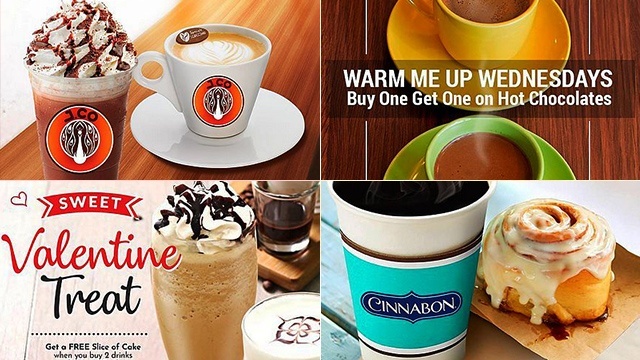 Check out the promos below on coffee and desserts, lunch sets, and more. Let Coffee Project bring extra romance this month of love. 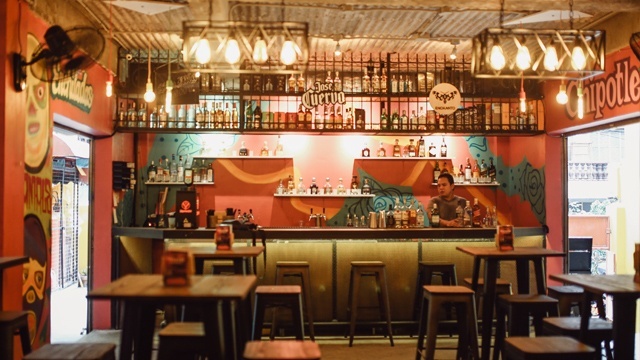 Aside from their picture-perfect ambience and delicious offerings, they also have promos and exclusive entertainment that will make your dates even more special. Enjoy a free upsize to Project Size when you buy any two Strawberry or Chocolate Frappe today and on February 24. 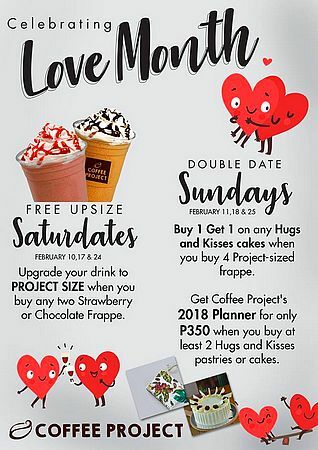 Even better, you can get two-for-one Hugs and Kisses Cake when you buy four Project-Sized Frappe tomorrow and on February 25. Enjoy your favorite beer with Applebee’s new sizzling dishes. 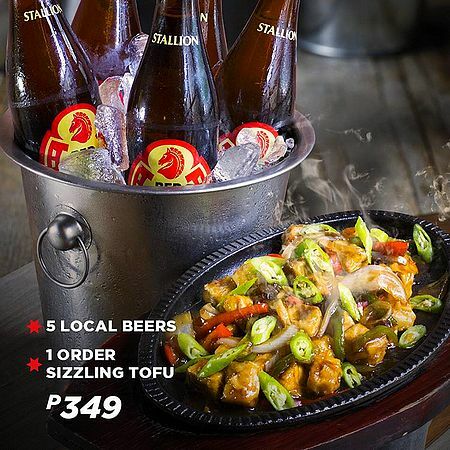 Pair your five bottles of local beer with a plate of sizzling tofu, lechon sisig, or seafood medley. Price starts at P349. Make your day a delicious one with a bite of Sizzlin’ Steak’s flavorful Shawarma Rice Lunch Set for only P179. With a bowl of egg drop soup and a glass of iced tea, this filling meal will surely spice up your day without emptying your wallet. 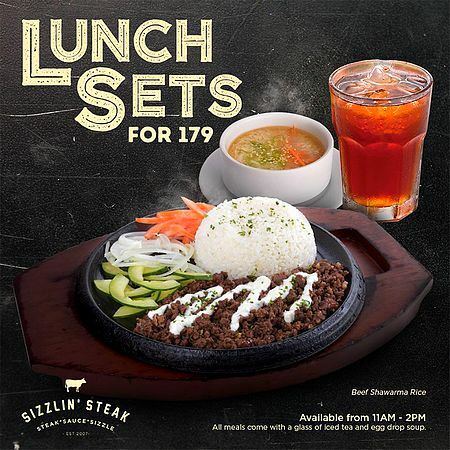 Lunch sets are available from 11 a.m. to 2 p.m.
See a list of Sizzlin' Steak’s branches. For more information, log on to Sizzlin' Steak's Facebook page. Share some Beeffalo love with your special someone, family, or friends this love month! Get two free orders of creme brulee when you order two Platter Meals—perfect for a savory and sweet post-Valentine’s Day date. Valid until February 28 at Beeffalo’s San Juan and Marikina branches. Beeffalo by Hotrocks is at Lot 6, Block 3, Gil Fernando Avenue, Santo Niño, Marikina City; and 135 Hoover Street, Addition Hills, San Juan City. For more information, log on to Beeffalo by Hotrocks' Facebook page. 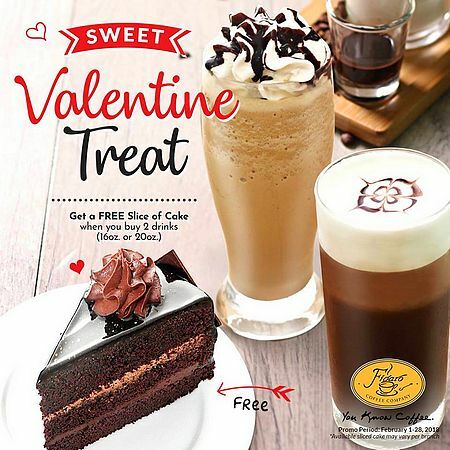 J.CO is making post-Vday plans better with this special J.CO Treat! Get two featured drinks in Uno size for only P199: Hot/Iced Jcoccino and Hot/Iced Chocolate. This promo is running on all Thursdays of February. Cinnabon just knows the perfect afternoon delight for you! 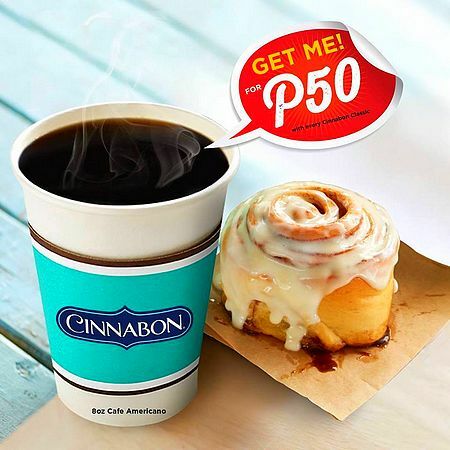 Order a Cinnabon Classic and get an eight-ounce Café Americano for just P50. This promo is available in selected Cinnabon branches only. The perfect date deserves the perfect meal for two. 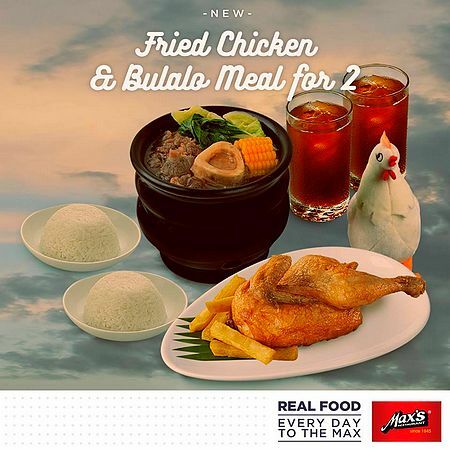 Have the most filling date to remember over Max’s fried chicken, bulalo, rice, drinks, and a plush toy for just P999. Go all out this Love Month! Welcome the Year of the Dog with a Flaming Wings favorite! 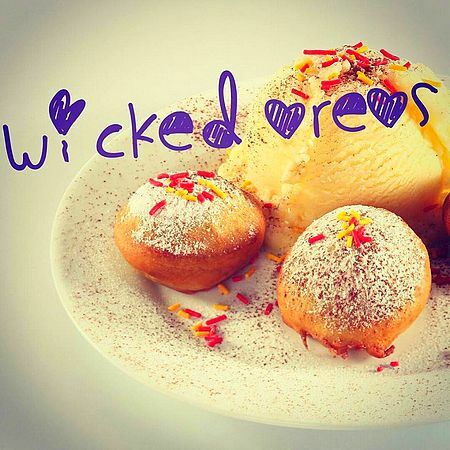 Get free Wicked Oreos when you buy a basket of five chicken wings in Garlic Parmesan, Lemon Pepper, or Nashville Heat flavor. This promo is running until tomorrow at the Katipunan branch only, and is only valid for dine-in transactions. Flaming Wings is at 318 Katipunan Avenue, Loyola Heights, Quezon City. For more information, log on to Flaming Wings' Facebook page. Sebastian’s Ice Cream is here to warm you up this Love Month. 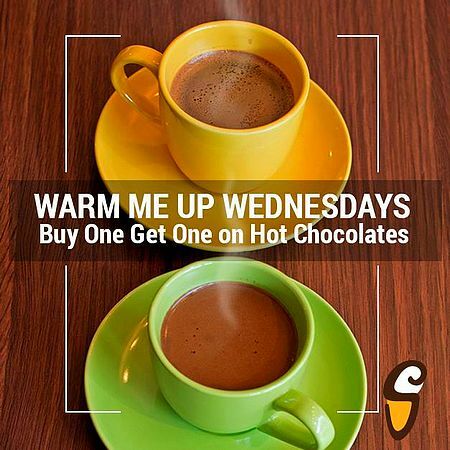 Buy one cup of hot chocolate and get another one for free when you order on a Wednesday. This sweet treat is available only at the Ayala Malls Vertis North branch. Have a Sweet Valentine with this special treat from Figaro. Get a free slice of cake when you buy any two medium or large drinks. This promo is running until February 28. Available cake may vary per branch.